Coronary artery calcification occurs when calcium builds up in the inner lining of the coronary arteries that deliver blood supply to the heart. 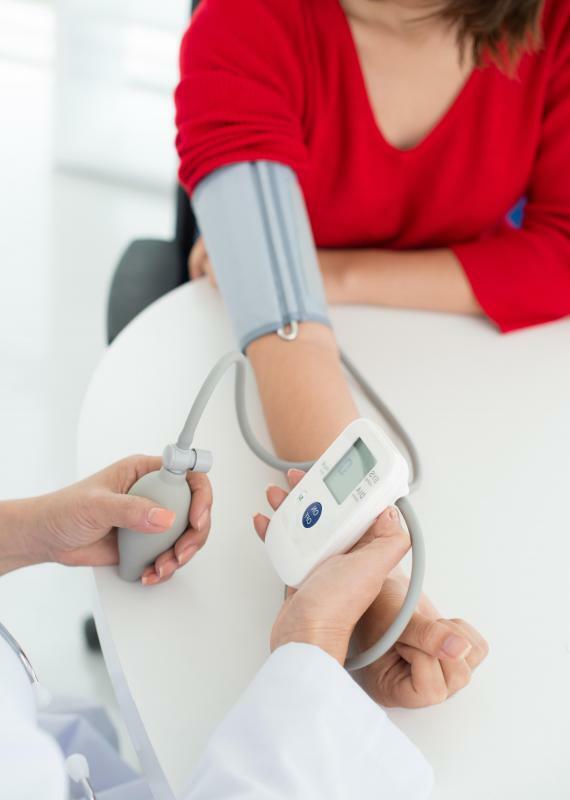 High blood pressure may increase an individual's chance of having coronary artery calcification. An electrocardiogram may be conducted to evaluate patients with coronary artery calcification. 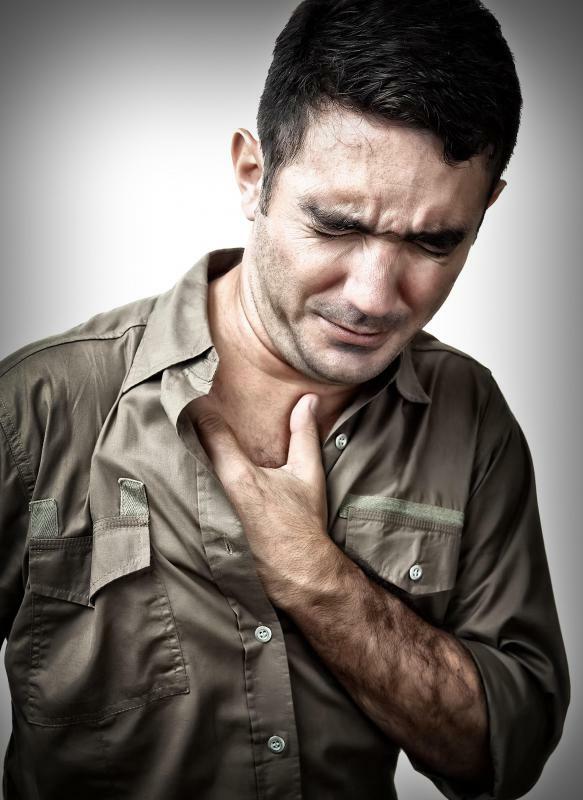 A squeezing tight pain in the chest may be a sign of coronary artery calcification. Coronary artery calcification is the result of calcium deposition in the coronary arteries. 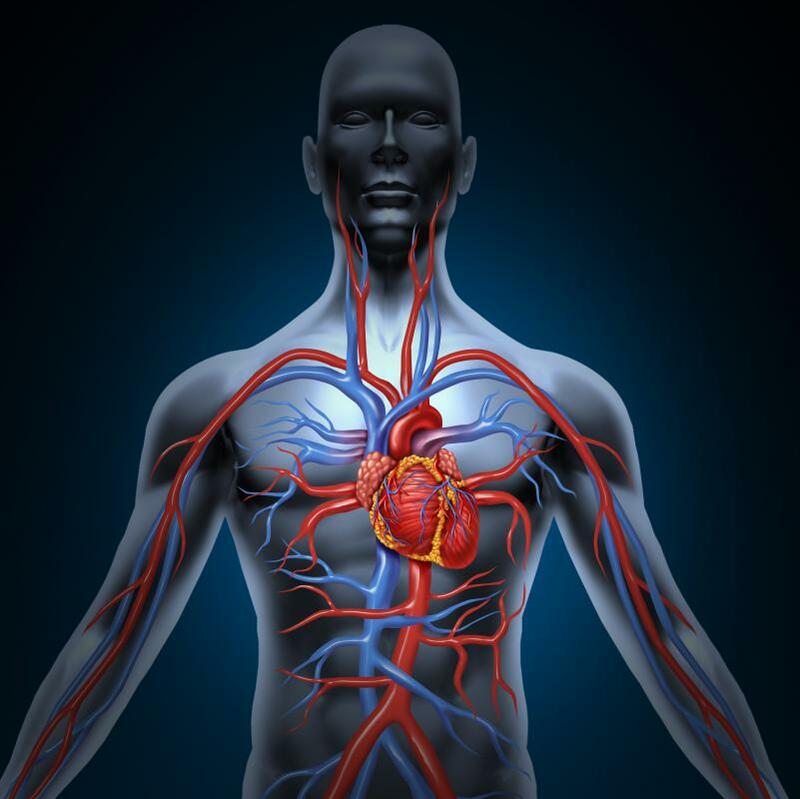 Coronary arteries are blood vessels that deliver blood supply to the heart for its nourishment and oxygen needs. Calcium gradually builds up in the inner lining of the arteries, forming layers of plaque that eventually lead to the development of coronary artery disease. Blood vessels affected by calcification harden and become narrow over time. When this happens, blood supply going to the heart becomes limited. When severe calcification occurs, it can deprive the heart of oxygen, and result in a life-threatening event. Several factors can increase an individual's chance of having coronary artery calcification. These include high cholesterol levels in the blood, hypertension or high blood pressure, obesity, and diabetes. Having a family history of heart disease also increases an individual's risk of developing the disease. The incidence of this condition is more common in men older than 45 years old and in women older than 55. Drinking alcoholic beverages, smoking, as well as living a stressful lifestyle also play some roles in many heart diseases. In coronary artery calcification, the restriction of blood flow progresses slowly over time, making the symptoms less apparent during the onset of the disease. As the disease continues, depending on the area and severity of blockage in the coronary arteries, the complaints experienced by patients may vary from mild to severe. These include a squeezing pain in the chest, numbness of the hands and feet, sleep problems, fatigue, and shortness of breath. A cardiologist is a doctor who specialize in the care and management of patients with heart diseases. He usually takes the medical history of the patient, conducts a thorough physical examination and requests for several blood tests and diagnostic tests before coming up with a diagnosis. Diagnostic tools he might use to evaluate patients with coronary artery calcification include a chest x-ray, computed tomography (CT) scan, an electrocardiogram (ECG), and echocardiography. The goals for treatment are to relieve the symptoms, reduce the risk factors, widen the blocked arteries, and prevent further complications. Included in coronary artery calcification treatments are cholesterol-lowering drugs, stress-management programs and surgery to repair or restore blood flow to the heart. Lifestyle modifications, like stopping smoking and alcohol drinking as well as eating healthy foods, are also highly recommended. Prevention is often advised by many physicians to patients who have increased risks in developing heart disease. Some recommendations include living a healthy lifestyle, eating healthy foods, controlling weight, and increasing physical activity. What Is the Treatment for Coronary Calcification? @seag47 – Even some home-cooked meals can lead to coronary artery calcification, if you eat them often enough. My grandmother grew up on a diet of fatty meats, vegetables flavored with animal fat, and bread baked with lard. She also suffered a heart attack at a relatively young age. She had to have a coronary angioplasty. This is where the doctor sticks a balloon in your artery and inflates it to widen it. He did this right after her heart attack, and later on, he put a stent in there to help keep it open. She had been having difficulty catching her breath and having chest pains for about a year prior to her heart attack, but she didn't see a doctor. Now, she is taking her health more seriously and making changes to her diet. I know that my kidney disease and resulting hypertension places me at a higher risk of coronary artery calcification than most normal folks. So, I take my blood pressure medication faithfully, and I try to eliminate most fatty foods from my diet. I started to develop high blood pressure in my late twenties. I was at my ideal weight, but my kidney condition was causing the hypertension. Since there was no treatment available for the kidney disease, all my doctor could do was treat the elevated blood pressure. I don't drink or smoke, and I exercise frequently. This healthy lifestyle is my way of fighting off coronary artery calcification. My aunt developed coronary artery calcification because of her strained relationship with her husband. He emotionally abused her for thirty years, so it's no wonder that her health was so poor. The stress of the marriage had driven her to smoking and drinking. This let her escape what she viewed as her inevitable reality for awhile. By the time she was fifty, she had calcium deposits in her arteries that were causing her tightness in her chest. She had been dealing with high blood pressure for years, but taking medication doesn't work so well when it's canceled out by alcohol and stress. @strawcake – Fast food is popular because people on average care more about immediate gratification than preventing heart disease down the line. Also, we all seem to be stretched for time more than ever before. Fast food keeps us from having to spend a couple of hours in the kitchen after a hard day of work. I personally avoid fast food the majority of the time. However, if I'm having a particularly stressful day, I will succumb to its time-saving appeal. The fact that I'm stressed out in the first place is probably not good for my arteries. So, I'm sure I'm not doing myself any favors by resorting to food that will clog my arteries if I keep eating it. Life sure is hard sometimes. Wow, diabetes can cause a lot of horrible things to happen. I knew that diabetes had a lot of complications, but I had no idea if could increase coronary arterial calcification! It seems pretty unfair actually, if you have Type I diabetes. All the taking care of yourself in the world won't help prevent coronary artery calcification and heart disease. @strawCake - It's good that your family history has inspired you to take care of yourself. Obviously heredity does play a role in coronary plaque, but like the article said, a lot of it has to do with your lifestyle. One thing that I'm always confused about as far as lifestyle factors is alcohol. The "experts" seem to go back and forth about this every few years. Alcohol in large quantities is bad for your heart. All alcohol is bad for your heart. Oh wait, now a glass of red wine a day is good for you! I can barely keep up. However, it's always been my opinion that moderation is the key to everything, so I do have one or two drinks on occasion. Heart disease runs in my family, so I try to lead a healthy lifestyle so I don't get coronary artery calcifications. I'm in my 20s now, so I figure if I take care of myself now I'll do better later on. In fact, when I took health in college I learned that the biggest predictor of your lifespan and overall health when you get older is the habits you develop when you're in your 20s. I also learned that heart disease is one of the top three causes of death in the United States. Knowing this fact, I often wonder why fast food is so popular here in the United States. It seems like a quick way to ensure yourself an early death.